You have a failing marriage or you may have been separated for a number of years. You already made your mind up to legalize your situation. So you start looking for annulment lawyers in the Philippines. But where do you start? The legal system in the Philippines is patterned after the British and American models, with trial courts and appellate courts and with lawyers qualified by the highest court in the land. Lawyers in the Philippines go through a minimum of eight years of education after high school, four (4) years of college and another four (4) years of law school. Right after graduating from law school, many choose to take the Bar Examinations which are given yearly. Prior to taking these examinations, the legal hopefuls take a 6 month review course culminating in a rigorous 4 weeks of examinations conducted by the Supreme Court of the Philippines on various bar subjects such as Civil Law, Constitutional Law, Labor Law and Social Legislation, Philippine Tax Law, Philippine Commercial Law, Criminal Law, Remedial Law, and Judicial and Legal Ethics. The bar examinations are so challenging that there have been reports of deaths during the review period and during the examination month itself. The results are so eagerly anticipated and are headlined by major newspapers with the top (10) from the examinations heralded as virtual legal rock stars. Passing the Philippine Bar entitles one to be a member of the Integrated Bar of the Philippines, which is the official association of lawyers under the direct supervision of the Supreme Court of the Philippines. The successful bar candidate becomes a signatory to the Roll of Attorneys of the Philippines and would be in the official list of lawyers in the Philippines and directory of lawyers in the Philippines maintained by the Supreme Court and the Integrated Bar. Lawyers dominate the list of Presidents of the Philippines and the national legislature made up of the House of Representatives and the Senate are full of attorneys from the top law schools in the country which manage to dominate the top ten in the annual bar examinations. A newly-minted lawyer in the Philippines would either join the government or train to be a legal practitioner with a law firm in the Philippines. Unlike in some jurisdictions which have official accreditation in different fields of law, a new attorney in the Philippines goes through years of experience with a law firm before dedicating a career in a particular specialized practice area such as Annulment of Marriage in the Philippines. A young attorney who opts to practice Family Law, or sub-specialize in annulments would have between 5 to 10 years of training with an experienced senior practitioner before gaining the confidence to handle annulment cases himself and identify himself for the public as an annulment attorney in the Philippines. 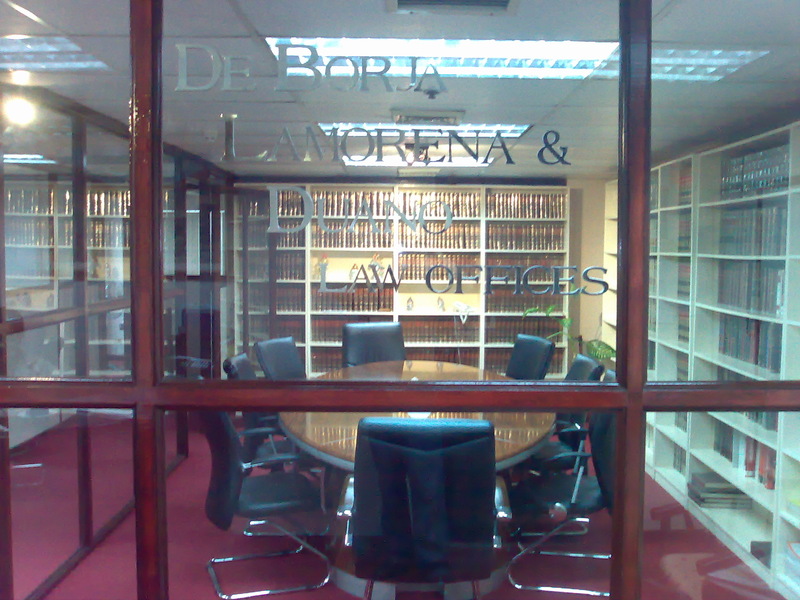 Lawyers in the Philippines work either as solo practitioners or with a law firm , which can vary in terms of number of attorneys and the depth of the practice areas. An advantage of a law firm is the combined experience of the lawyers that make up the firm and more support staff like paralegals and non-legal staff that would help a lot in moving cases along. Often, the top annulment lawyers in the Philippines are those who can empathize with their clients and understand the psychological and mental states of their clients as they relate to their spouses and families. An annulment attorney cannot turn a cold shoulder to the realities of their clients’ marriages while maintain an objective appreciation of the legal technicalities that apply to them. In conclusion, before aspiring young attorneys can truly call themselves as annulment lawyers in the Philippines, they must go through the proverbial professional gauntlet and maintain the integrity and strict standards required by law. CLICK HERE IF YOU NEED HELP OR GO TO OUR CONTACT PAGE FOR MORE DETAILS OR LEAVE YOUR COMMENT BELOW.